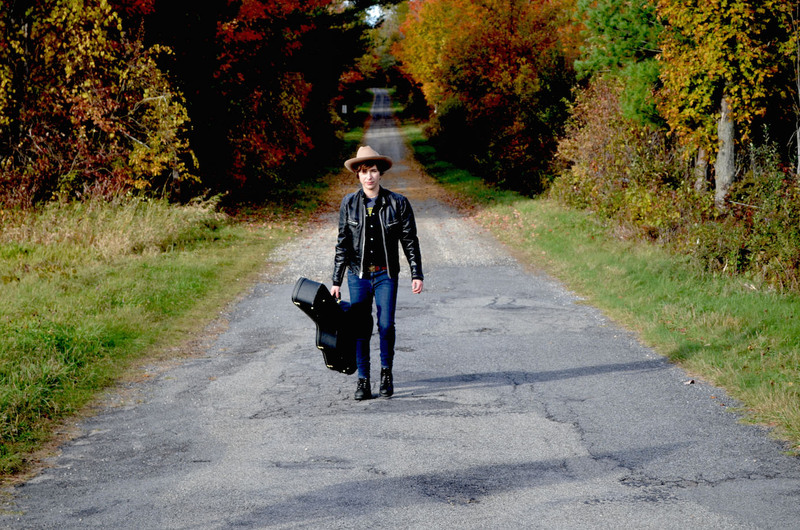 Bobby Dove is an alt-country singer-songwriter and troubadour from Montreal. Bobby Dove’s Debut Album, Thunderchild, Released 2016. Bobby Dove captured by aliens, forced to write best folksong of all time – or earth will be destroyed. Bobby Dove is an alt-country singer-songwriter and musician from Montreal, Quebec. In 2016 Bobby released her debut full-length album, Thunderchild, produced by James McKenty with a tasty cast of Canadian musicians including Anna Ruddick, Sam Weber, Bob Cohen, Laura Bates and Burke Carroll. Dove has spent the past year touring both solo and with trans-Canadian band members, bringing her songs and old-time and contemporary Americana to music lovers across the country. “Bobby Dove is a gifted artist, and a brilliant new light on the songwriting scene. Her songs speak to my heart. A time traveler, Bobby’s songs meld genres with the touch of a master. I am a fan.” – Mary Gauthier.